Pakistan: Change on the Balochistan Horizon? While the Pakistani government has scored serious tactical victories in its efforts to bring peace to the restive Baluchistan province, strategic success may still be elusive. Baloch militants have been waging a low-intensity war against the Pakistani state, going after soft targets to carry forward their bloody campaign. A series of new developments in Balochistan suggest there is change on the horizon. 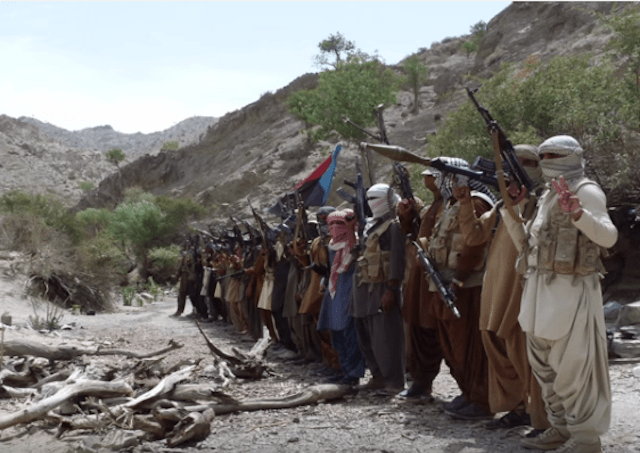 Firstly, Dr Allah Nazar, the mercurial chief of the Balochistan Liberation Front (BLF) – one of the four major separatist groups in the province – has reportedly been killed in an operation in the Awaran district of Balochistan. “The operation was successful. Many key militants were killed and there has been no trace of Dr Nazar since then,” Balochistan Home Minister Sarfaraz Bugti told reporters on September 8. Led by the Frontier Corps, security forces destroyed the communication centre that the insurgents were using to coordinate their campaign, he said. Weeks before that, the Khan of Kalat responded positively to a delegation sent by Balochistan Chief Minister Dr Abdul Malik Baloch – once a hardline comrade of Dr Allah Nazar. Senior provincial minister Sanaullah Zehri met with the Khan in London, but the latter played the meeting down as an informal get-together. The third key development is Brahumdagh Bugti’s statement that he is ready to return to Pakistan. That too is the outcome of the quiet diplomacy initiative by Dr Baloch. If the grandson of Nawab Akbar Bugti heads back to Balochistan, that will certainly strengthen the government’s position. Fourthly, in the weeks before and after the Independence Day, several hundred Baloch “rebels” surrendered – initially drawing scorn and skepticism from critics. Most observers played down the development as stage-managed surrender ceremonies. But consequent interviews with stakeholders in Balochistan did confirm that a majority of those laying down arms were genuine insurgents. As the government continued to reach out to Baloch insurgent groups, residents of the troubled district of Panjgur celebrated the Independence Day. In Naushki, perhaps for the first time in the province’s history, people celebrated August 14 mingling with FC men and doing the Attan folk dance. The government and the FC also managed to organize a festival in Ziarat. Relative peace seems to have returned to the dens of Baloch insurgency – Gwadar, Makran, Awaran and Kharan. The sixth major development is a series of feel-good speeches by Lt Gen Nasir Janjua, commander of the Southern Command, with which he wants to dispel “the impression that Balochistan is slipping out of our hands”. “The brave people of the province have broken the chains of fear and are waving the flag of Pakistan,” he said while addressing a Martyrs Day ceremony in Quetta on September 5. Ostensibly, these are all very positive developments. But will this march towards peace sustain? If the news of Dr Allah Nazar’s death in a law-enforcement operation is true, it could anger his diehard followers. But Baloch journalists and analysts say it wouldn’t mean much for the majority. Young people are increasingly disenchanted with a militancy that hardly distinguishes between military and civilians targets, including laborers, teachers and doctors, according to National Party insiders. “By attacking educational institutions and the intelligentsia, the militants target education. They have pushed the province back by several years,” one of them said. Most of the youth is not inclined towards the separatist movement any longer, and have seen that the state will always react to protect and enforce its writ, he said. That is the message that Dr Malik has sent out. He continues to command the respect of many. Observers say the constituency for the radicalism has shrunk considerably since the general elections in 2014, and most of the youth are now vying for economic opportunities and avenues for becoming part of the mainstream. That is probably the dividend of the political space that has emerged for the National Party, an ethnic political party that is also leading the coalition government in Balochistan. Party insiders also see a change in the stance of the military establishment. “It is very clear that after years of high-handedness, the military establishment has finally given space to the political leadership for a dialogue with the dissidents,” said a member of the party. The FC and the ISI are being told by Army Chief Gen Raheel Sharif to follow and help Dr Malik, according to a cabinet adviser who was present at a meeting of the Apex Committee that overseas law and order in the province. Dr Malik is meanwhile making political decisions on his own, such as giving out development or other funds to those willing to lay down weapons or ready to facilitate the government’s peace initiatives. Skeptics ask why the Khan of Kalat will give up his London exile for his coveted title in Balochistan? The estranged Khan, who was furious at Nawab Akbar Bugti’s death in August 2006, had asked for international intervention in Balochistan at one point. Now, his own son lives in Quetta. The Khan of Kalat was never implicated or accused in any militant or terrorist activity or serious crimes against the state. For the government and the military as well as their critics, he is the perfect face of reconciliation in Balochistan. But his conditions include an improvement in the political situation, recovery of the missing persons, and an end to the systematic abduction and killing of Baloch activists. He also wants military operations – aggressive deployment and search and surveillance – to be stopped immediately. His return to Pakistan will hinge largely on whether the government and the establishment can meet him somewhere half way. The state’s challenges will not end with his return. They will have to neutralize foreign intervention, persuade bickering tribal leaders to withdraw support for militancy, and tackle organized crime syndicates that have been on a rampage, largely under political patronage. While the government has scored serious tactical victories, strategic success may still be elusive. The writer is the Executive Director of Center for Research and Security Studies (CRSS). This article first appeared in Friday Times. Click here to go to the original. Next Can a Divided Europe Handle the Refugee Crisis?